You must be a member of the Bangkok Professional Networking Group to attend this activity. Would you like to join this group? 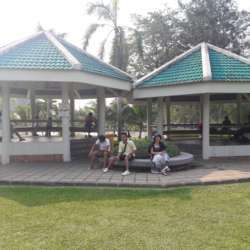 A 5 km loop through the center Bangkok's largest and most beautiful park with three names. We'll meet at 5:30 and start walking at 5:45. We will cross many bridges over seemingly endless ponds, maybe see the park rangers on nice horses, enjoy hundreds of tall trees and open spaces, see the flowers just coming up in the lotus garden and see and hear a variety of the park's wildlife, including including fantastic birds, squirrels, and rather big but thankfully shy monitor lizards. A peaceful break from the city and nice exercise.